This is a carefully selected sponsored post in partnership with Tefal. I review the Tefal Cuisine Companion, a new appliance for the modern kitchen which claims to offer home cooks an extra pair of hands as it chops, steams, cooks, kneads and makes sauces over a range of temperatures and speeds. Most kitchen appliances compete for space amid cluttered kitchen counters. Particularly in tiny urban kitchens like my own. A piece of kit needs to earn a permanent space, it doesn’t just get one. Items that I use occasionally live in my office, and are brought out when I need them. If they cut the mustard. If they don’t, I don’t have any space for them at all. My small London flat is bursting at the seams, and I feel my head might too at times. Do you feel the same in your kitchen? I would imagine many passionate home cooks do. In terms of kit, my small kitchen has very limited counter space with few permanent residents. There is a mixer which I use quite a bit, and a food processor. We also have a blender for smoothies on the mornings that I can remember to make them. I prefer a stick blender for my soups, and this lives in a cupboard below. The Tefal Cuisine Companion claims to do all of the jobs that these do. You can chop, blend, whisk, cook and steam. You can make soup, stew, pastry, pasta, dough. You can cook at different temperatures and very precisely, to the second. You can cook at different speeds. I put the Tefal Cuisine Companion through its paces to see if it could live up to what it was offering. The Cuisine Companion comes with a book offering lots of basic recipes and 300 others divided between starter, main and dessert sections. There is a detailed guide to the machine, presented visually, and very easy to follow. There is also an oven temperature conversion table that offers a temperature chart detailing conventional ovens and fan ovens in fahrenheit and celsius, and UK gas mark too. There are 6 automatic programmes (sauce, slow cook, soup, steam, pastry and dessert), a manual mode, 12 speeds, a large bowl capacity (4.5l with a useful capacity of 2.5l) and accessories that you fit in the bowl (an ultrablade knife for speedy powerful chopping and blending, a whisk, a mixer, a kneading and grinding tool and a steaming basket. Lets start with the basics, and they start with pastry, dough, sauces, stocks and pasta. I was impressed with their thorough listing, and even though I am familiar with much of these already, the Cuisine Companion allowed me to make them faster, and easier, using all real ingredients. The shortcut was that I didn’t need to stir, I didn’t need to stress about eggs splitting when I made egg based sauces as the temperature was controlled and the companion is a powerful and speedy stirrer. This is best illustrated with the hollandaise, a tricky sauce that I reserve for special occasions when I have time, now all I had to do was add the ingredients and with the sauce programme whisk it at 70 deg C for 8 minutes. And that was it. A perfect hollandaise for my avocado toast with poached egg. A recipe that always stands out for me as tricky for beginner cooks is choux pastry, that gorgeous pastry that can become eclairs, gougeres and paris brest. The first time I made it, well I was only about 10 but I was already making toffee etc., it completely confounded me and I didn’t attempt it again for many years. It is a pastry that needs to be made over heat, and requires a lot of stirring and vigour. It is worth it, but again, I don’t make it very often as I need to have the time to dedicate to it. Here, it is a little fiddly as you need to wash the processor in the middle of the recipe, but it still makes choux pastry easily and painlessly, and better still in a controlled fashion. The control and the hands off approach to producing real food is what I was beginning to appreciate the more I tested recipes. On a recent trip to Tooting I spied a new Naan Bakery that I am really keen to visit. I love a naan, and they make them fresh all day. Traditional plain naans, my favourite keema naan and a genius nutella naan. Well, I wanted some of that and I decided I should try the naan recipe in the Cuisine Companion cookbook. A yeasted recipe, it was made with yogurt, strong flour and a little oil. Using the pastry programme, it is kneaded for just one minute. There was no resting time indicated, but as it is a yeasted recipe, I added it in to allow it time to prove (about half an hour) and also to allow the dough to rest. Then I divided it into balls, flattened it with my hands, and put a tablespoon of nutella in the centre. I then folded it back over before frying it in a hot try pan on either side. Delicious! They might become a regular. The Cuisine Companion seems perfectly setup for soups, and so I gave the potato and leek soup a whirl, it is one of my favourites. I let the companion do all the chopping in just 10 seconds, and then the soup cooked on the soup programme for just 50 minutes. I used a different garnish, some lovely onion flowers that I found recently in an Indian shop in Tooting. For the main course, I liked Basque Chicken, it seemed a perfect weekend lunch or weekday supper. I made a few changes and took some shortcuts, making it speedier and more to my taste. I didn’t pre chop anything, chucking in the onions and the pepper with the ultrablade knife which minced them in just 20 seconds. Then I added sherry (manzanilla – yum – and perfect for a Spanish chicken dish!) and oive oil, and with the slow cook programme, slow cooked it at 130 deg C for 8 minutes, before reducing the temperature to 95 deg C and slow cooking it for 45 minutes with tomatoes, stock and chicken thighs. It was lovely, tender chicken, great flavours. Next time I will add paprika as I love a little spice and punch, and I will use gorgeous deeply flavoured piquillo peppers which I happen to have a jar of in my cupboard. Seek them out if you don’t already know them, they are wonderful. I was particularly excited to try out some more desserts. Meringues were so easy and perfect, requiring only that I add the ingredients to the bowl and whisk on speed 8 for 10 minutes at 40 deg C. I added cream of tartare which helps a little with the texture. I finished them with some freeze dried raspberries before putting them in the oven (they are one of my favourite store cupboard ingredients, also great for granola, yogurts etc.). Finally, I wanted to try a sorbet. I am always looking for quick healthy sweets, and a berry sorbet made with frozen fruit (or fresh fruit you freeze) with an egg white and a little icing (confectionery) sugar worked a dream. I will be making this regularly. The one photographed here is raspberry using frozen raspberries which I always have in the freezer for smoothies etc. Thoughts overall? Yes, the Cuisine Companion is expensive at a retail price of £750, but it is extremely convenient and solid, and it offers a hands off way to make real food for busy people. It is also perfect for nervous cooks who might be afraid to make hollandaise, bearnaise, custard and other egg based dishes that brighten brunch and steak dinners. Its strength for me is in sauces, desserts and pastries, affording the busy home cook an extra pair of hands and time away from stirring to do other things. The recipe book is thorough and has lots of interesting dishes too. I am keen to try their burger buns, soufflé, pretzels, steamed prawn wontons, panacotta, chocolate brioche roll and yogurt & watermelon granita. Mine has retained its space on my counter. If you would like a chance to have one for yours, Tefal have given me one to giveaway to a reader. If you would like to win, leave a comment and let me know what you would like to cook with it, or why you think you would like one for your kitchen. You must be based in the UK or Ireland for practical reasons (and apologies to readers who aren’t). Winners will be drawn on the 25th April and the winner will be notified by email (if you comment on the blog post via facebook, I will contact you that way, otherwise leave your email address in that field on the comment post but not in the comment). I will give the winner 3 days to reply, and if I don’t hear I will need to select another. Best of luck! In the meantime, I look forward to your comments. Pastry is always something I tend to stay away from. Homemade pastry would be fantastic. Also a chance to brighten up my usual weekly repertoire of spaghetti Bolognese and Cottage Pie. Cooking for a family of four while working can result in a cooking rut! This sounds like a great addition to a kitchen! I would love to make asian dishes such as the wontons or samosas as they are things I love to eat but have never been brave enough to try. I agree with you about the sauces, I think it would give me the confidence to experiment with bearnaise and hollandaise. I would love to win this wonderful machine! I haven’t tried it yet but I agree as I make a lot of fudge (for Project Bacon!). I will test it. This sounds a little mad, especially with the steamer. Can you make steamed buns? Would you have to wash out and then put on steam? The chocolate brioche roll is what I would try out first. Anything to do with pastry or bread, really. My food mixer broke down so if it does the same job I will enter the competition please. Thanks for your useful posts Niamh! I usually hesitate over adding kitchen equipment that might have limited use but takes up space. This one sounds so adaptable. I’d try pastry first. Yes please, i’d love to try the meringues as i can never get these right. This sounds amazing! I have had to completely change the way I cook and eat for health reasons over the past few months. I would love to make healthy sorbets and soups, but also experiment with adaptations of recipes to suit my new dietary requirements. This looks absolutely amazing!! I’d love to try pastry as mine never turns out very well. I’m not very imaginative when it comes to dinners for the family, but one of these would certainly get me trying out new and different creations – the kids would be very happy, they get fed up with the same old thing every night! Goodness what to choose to cook first? It looks a fabulous device. I’m kind of thinking I would try out the lasagne recipe as however much a love lasagne I find it a bit of a chore to cook. I’d use the machine to cook the sauce while I prepare the meat sauce. Although it’s tempting to make the pasta in the machine as well. I think this would be such a plus for my kitchen as I love to prepare my food from scratch and it would give me the tools i need to do so such as I’d prepare my curry while the machine is mixing the naan bread dough. It would also leave more room on top of my cooker and save my juggling pots and pans all the time. It sounds like an extra pair of useful hands in the kitchen to me and one that you aren’t tripping over or answers you back! Sounds like an amazing appliance! In my little shared kitchen with space and time at a premium it would be a complete game changer! Reading your review made me feel like you are looking at my kitchen! Very limited space on the counter and everything is selected very carefully! Tefal knows it too, hence they came up with the amazing ActiFry:) Looks like they came up with a lovely idea again, and thanks very much for your detailed review! The Road Tefal Cuisine Companion would save me, (stupid me, promised to dinner for 8 for my friends with no time to do it! 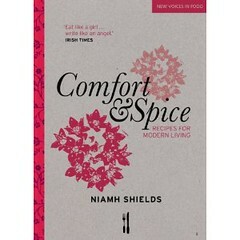 :-)) Was thinking of making a creamy mushroom soup, salmon pastries, pasta bake and cheesecake. My little Companion would help me do it easily and quickly, just what I need!